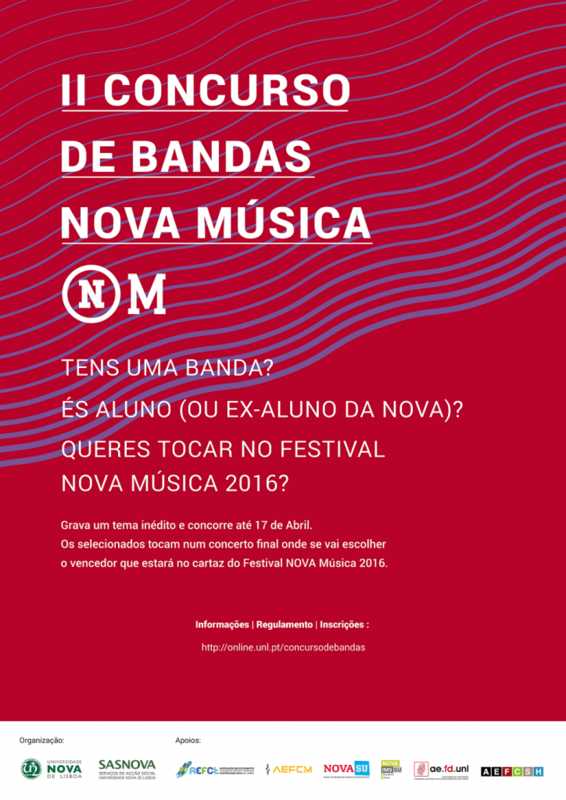 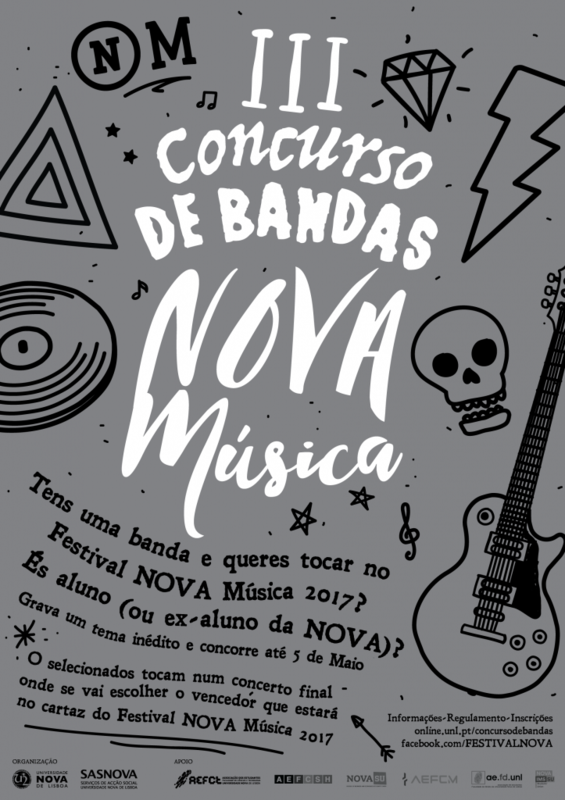 The NOVA Musical Group Competition is part of the NOVA Musica and is organized by the SASNOVA Office for Culture, Communication and Image. 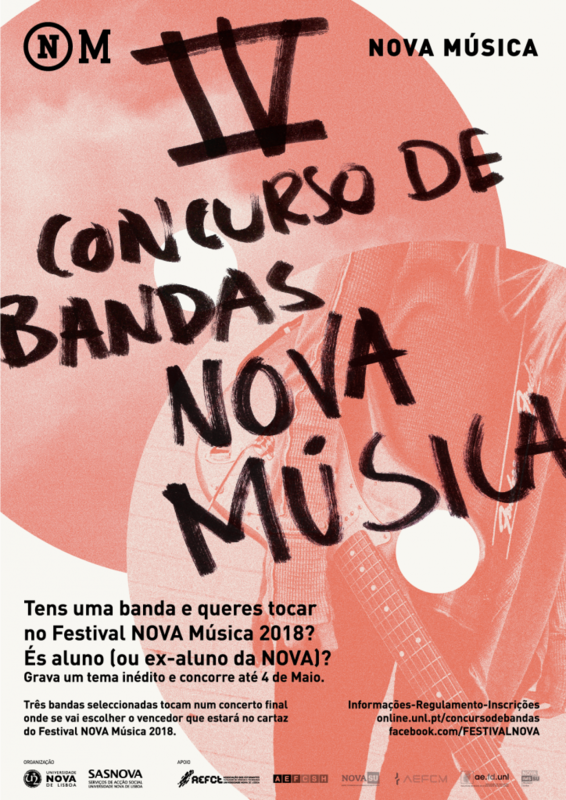 It’s open to solo musicians and bands made up of at least one student (or former student) of the Universidade NOVA de Lisboa (students in their 1st to 3rd study cycle, on Erasmus or on other exchange programmes). 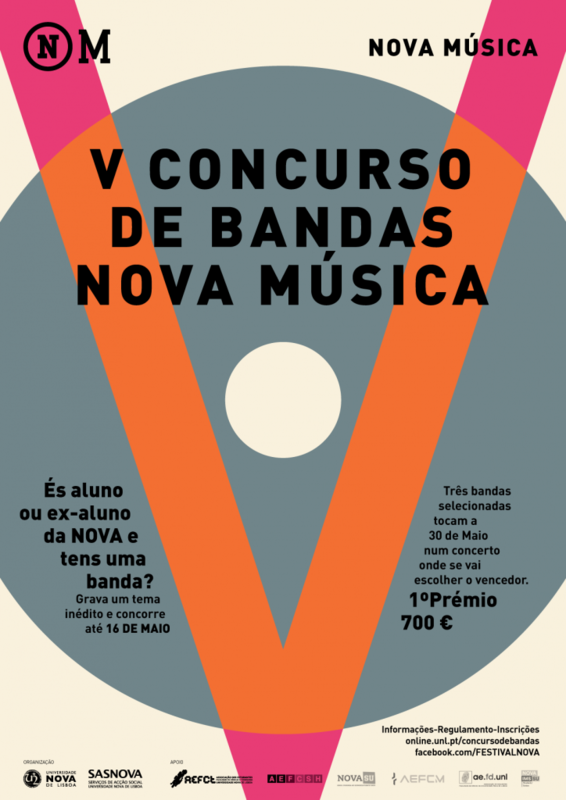 The winner gets 700€. 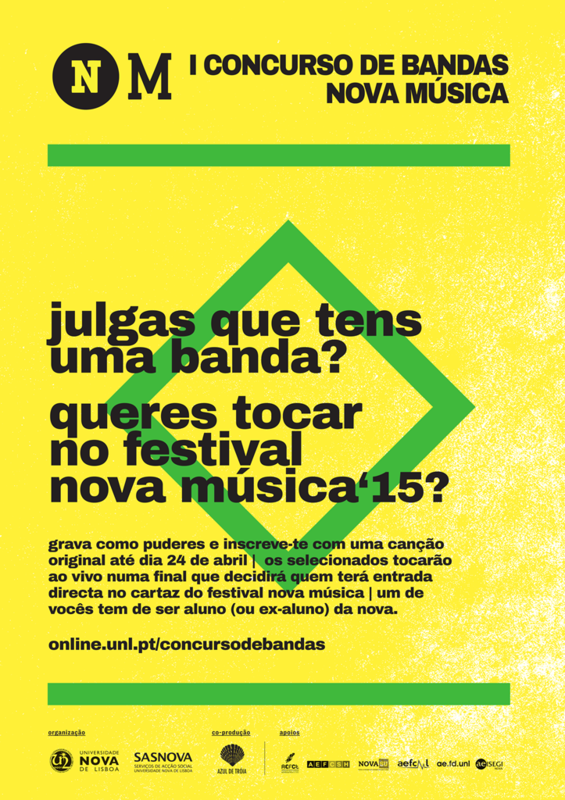 See the Regulation and apply.